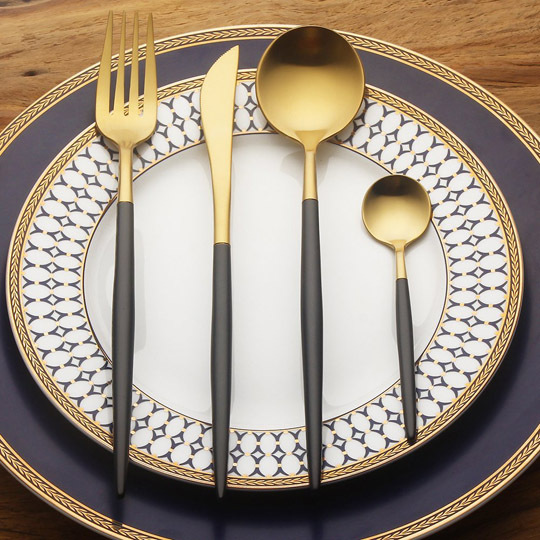 Gold and black in the cutlery world is as hot as it gets. And Lekroch is not kidding around with this polished 18/10 stainless steel flatware set. It is completed electroplated with titanium metal , rustproof, high hardness, no distortion, Lead-free, Cadmium-free, Phthalate-free, BPA-free durable and eco-friendly. This is one setting consisting of a 8 1/4″ dinner fork, 5 1/5″Dessert Spoon, ​8 3/4″ dinner knife, and a 8 1/4″ Dinner spoon. Word is that these are dishwasher safe but I would hand wash as the black coating on the handles could suffer. It’s that time of year again and planning the big family feast for Thanksgiving is always a treat. Sadly people don’t put much thought into cutlery holders but they make table setup a lot easier and add a little class. 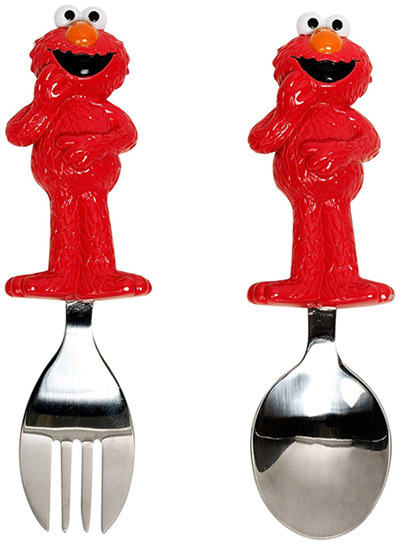 These Thanksgiving Turkey Cutlery Holders are from Amscan and come in a 12 pack. Being made of paper card stock they are disposable but if treated nicely they probably could last a season or two. 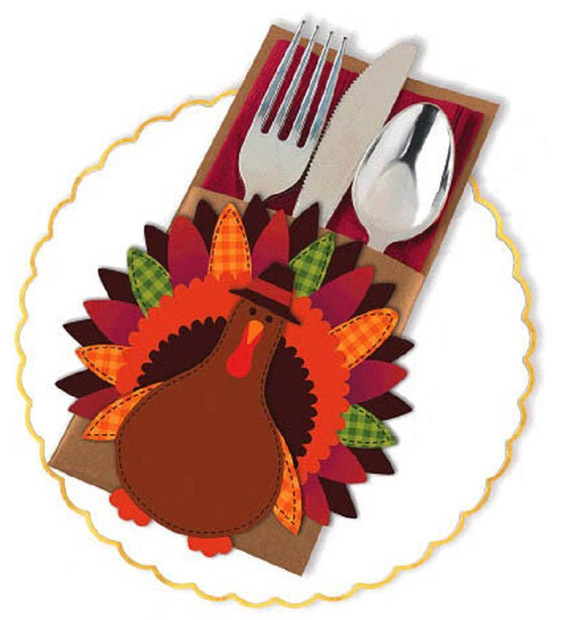 A great idea to organize and present that Thanksgiving dinner’s knife, fork and spoon. And the kids will no doubt turn them into puppets at the table!